This is the fifth outing for a band that began life as Gregory Howes’ experiment in punk-jazz. While the thrashing drums and rocking bass lines are present and correct on pieces coming in at around 3 minutes, especially on ‘Flux and Solder’ (track 3), what you have here is a far more jazz flavoured collection than some of their previous outings. I was confused by the title Retrospective, assuming at first that it would be a compilation of tracks from the previous recordings. However, all the songs are previously unreleased and come from two sessions. The first, in 2011, took place before the release of their first CD and the second in February last year. 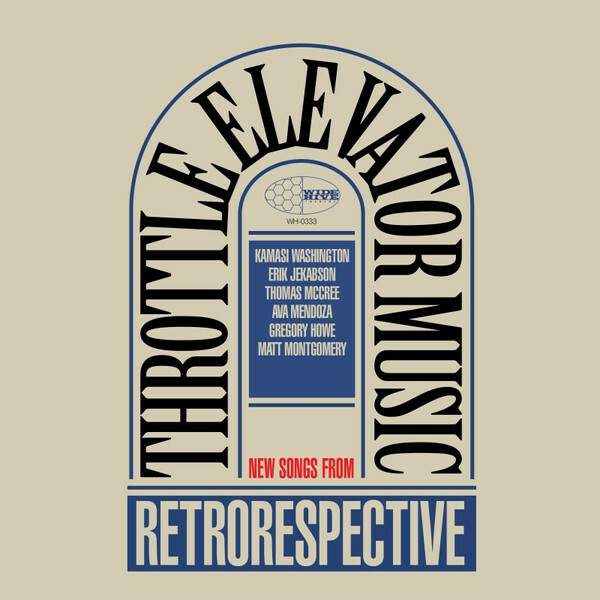 The title track, ‘Retrospective’, is a pleasantly lumbering blues, with a theme played jointly on saxophone and trumpet. Across the pieces, the drums and bass keep a fairly strict 4-square beat, with the ever-intriguing Mendoza adding avant-jazz, fuzz-dreched fills on guitar that gives an edgy but nuanced and spacey commentary on the saxophone solos. This is particularly effective on the three tracks that clock in at 7 or 8 minutes (‘Liminality’ track 1, ‘February Drift’ track 3 and ‘February 15’ track 9), with the band having space to develop on the deceptively simple themes (some of which they revisit and toy with on different tracks). ​There is an elegance to these longer pieces in the interplay of saxophone, trumpet and guitar that is beguiling. Having produced one of the albums of 2015 with a collection of bop-inspired pieces, this set shows that Washington is comfortable in a quite different musical environment, wringing soulful and beautiful sounds from his saxophone. What is equally impressive is the way in which all of the band members work together on a solid and equal footing to produce a gem of one of the branches of contemporary jazz. The mixture of blues, rock and haunting melodies give the music the feel of a soundtrack to an American TV series, the sort you binge-watch on box-sets with plenty of twists and suspense. Just like the very best of these series, there is plenty here to keep your interest and attention and plenty to make impossible to just listen to one track – once it is put into the player, you just have to listen to whole album to see what the band will do next.